Celebrating our 20th year of wood window repairs and restoration. "Why replace when you can restore!" Windowrepair.com, Inc. has been restoring and repairing wood windows in throughout the Arlington, Auburndale, Belmont, Boston, Brookline, Cambridge, Chestnut Hill, Concord, Lexington, Melrose, Newton, Watertown, Waban, Wellesley, Weston, Winchester and Boston’s Metro West and North since 1997. Do you have old and tired wood windows that shake, rattle and drop like guillotines? Are your wood windows drafty and won’t lock, open and close correctly? Does this sound like your windows? Don’t replace your wood windows when Windowrepair.com, Inc. will repair and restore your wood windows so they will open and close smoothly with minimal effort and more importantly improve energy efficiency. Windowrepair.com, Inc. has been featured on This Old House” and with Paula Lyons Consumer Reports, Boston Globe. Windowrepair.com, Inc. devoted to the preservation of wood windows from the 18th , 19th and early 20th century servicing the Metro Boston and surrounding area since 1997. Windowrepair.com, Inc. strongly believes that window restoration is an environmentally friendly approach to achieving energy efficiency, therefore reducing your use and cost of fuel, and at the same time preserving the character of your house. Restoration will save you money and reduce your carbon footprint. Why replace when you can restore! Windowrepair.com was established in 1997 servicing the metro Boston and surrounding areas. 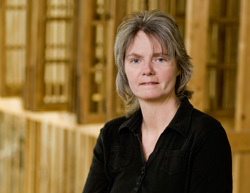 Since that time, Trudi Roy was a partner in the company and then in 2014 she become sole owner and proprietor of Windowrepair.com, Inc. Trudi and her team have been restoring and repairing windows throughout New England for over 20 years. © 2018 Window Repair.com All rights reserved.